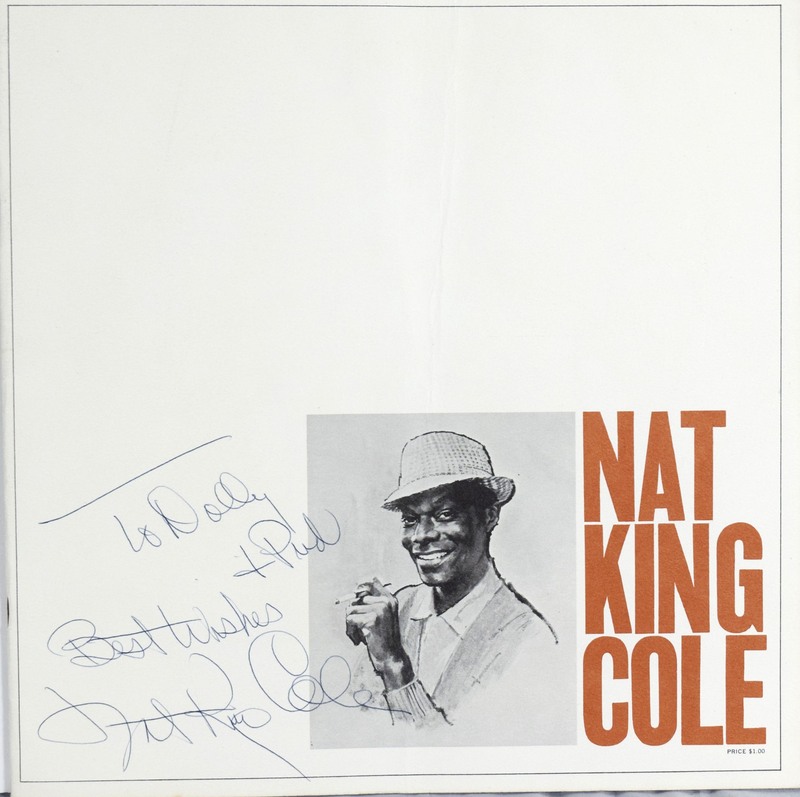 A large brochure showing image of the Jazz Great Nat King Cole signed in ball point pen on front" To Dolly & Pud Best wishes Nat King Cole".Nathaniel Adams Cole (March 17, 1919 – February 15, 1965), known professionally as Nat King Cole, was an American jazz pianist and vocalist. He recorded over one hundred songs that became hits on the pop charts. His trio was the model for small jazz ensembles that followed. Cole also acted in films and on television and performed on Broadway. He was the first black man to host an American television series.